Tucson ABC has recently ramped up our efforts to get radical reading material into prisons in a big way! At the time of this writing, we’re receiving requests every day from prisoners requesting the zines we have to offer. We need help getting our catalog to as many prisoners as possible, especially those in Arizona facilities, as well as covering the costs of printing and mailing. 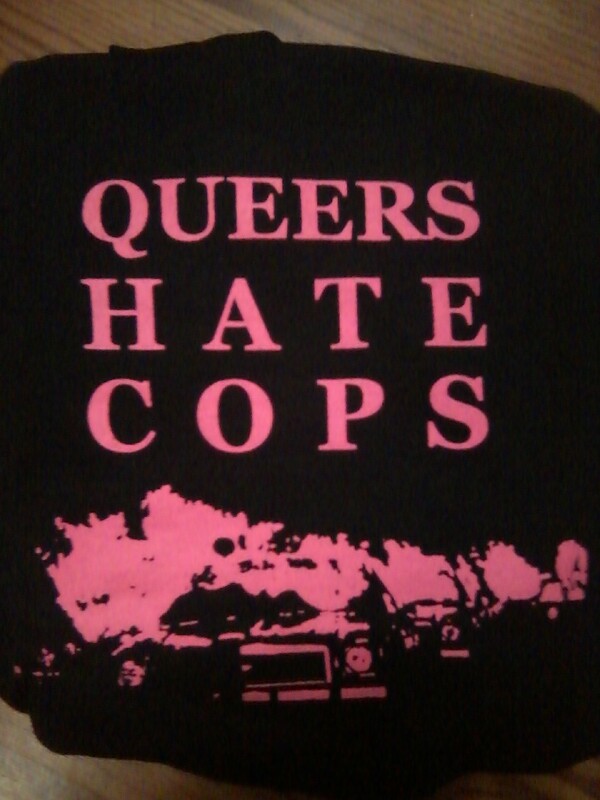 To help with expenses, we did a run of these shirts which we’re selling for $20 including shipping, all the proceeds of which will go directly towards printing and mailing zines to prisoners! Burning cop car image from the White Night Riots! And for anyone who has friends, family, or anyone else currently doing time, feel free to either print our catalog and send it in to them, or get in touch and we can get one to them. We’re also really interested in working with anyone who has people inside to organize concurrently out here, so we can talk about that as well!